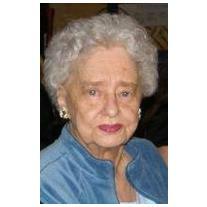 Samaklis, Betty Jane, age 90, February 22, 2018. Beloved wife of the late Jim for 43 years. Dear mother of Sue (Gene) Creed, Diane (Dave Gilbert) Waynick and Carol (Danny Fatseas) Miller. Loving grandmother of Christie Garbarino, Karen Hubbard, Cindi Garbarino, Michelle Gilbert, Jennifer (Joe) Landa, Angela (Sean) Gouda, Nicole (Rob) Muylaert and Jason Miller. Proud great grandmother of Owen, Audrey, Philip, Sophia, Austin, Benny, Jace, Jasmine, Josie and Mila. Betty was a loving mother and dear friend to all who knew her, even the neighborhood children received her love. Private family services are to take place.